Since 2011, the 21er Haus has been home to the Belvedere’s contemporary art collection, and has hosted countless international temporary exhibitions. The architecture of the museum’s brightly-lit, open and airy spaces guide visitors through both a comprehensive overview of 70 years of artistic production in Austria and the exposition of important international viewpoints. 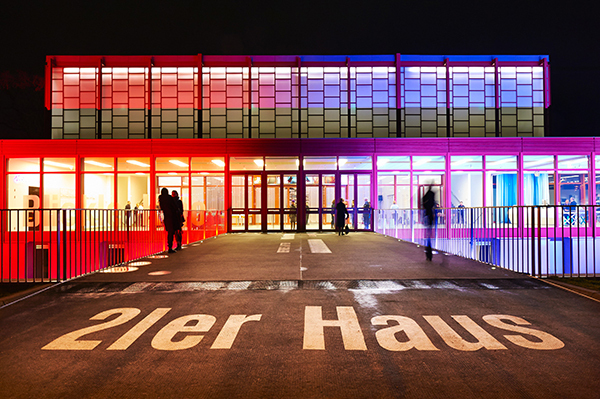 A venue for performative interventions, film screenings, themed lectures, concerts and artists talks, the 21er Haus offers a platform for the local art scene to commune with an engaged audience. An exploration of contemporary art and topics of the highest social relevance are central to its multifaceted program of exhibitions and diverse outreach programs.